This year brought with it two new nieces. I thought it would be fun to give them each a special ornament for their first Christmas. 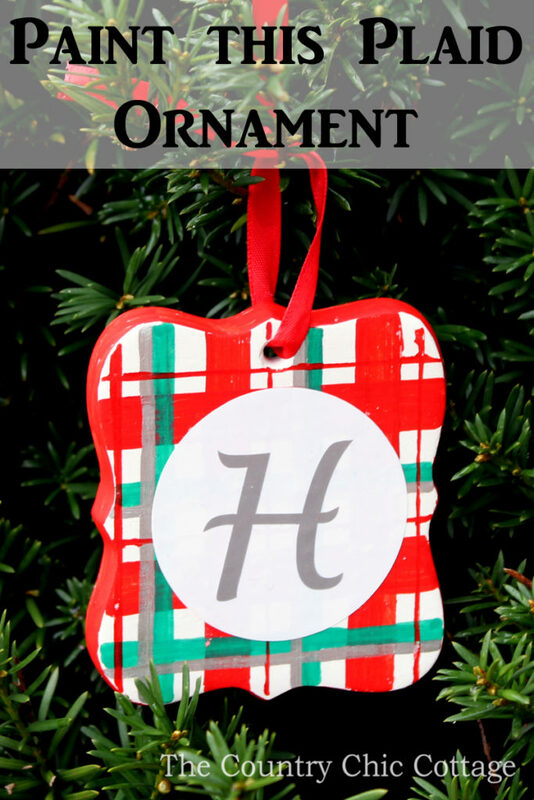 Making a special ornament doesn’t have to be difficult, complicated, or requir of fancy materials… I made each of these cute ornaments in about 10 minutes, and I’ll show you how! 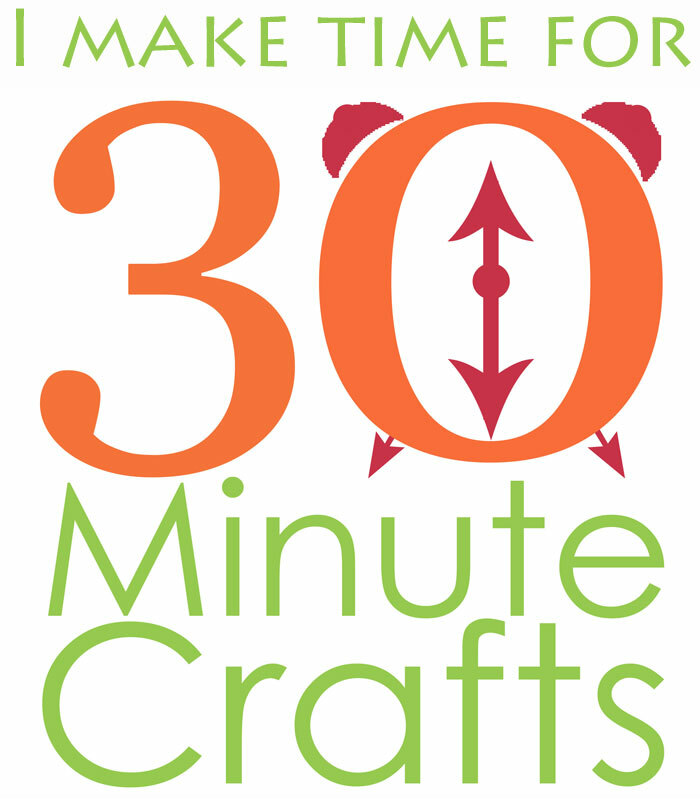 This post is part of Craft Lightning Holiday – all week long my co-hosts and I will be sharing fast and fun Holiday crafts that can be made in 10 minutes or less. 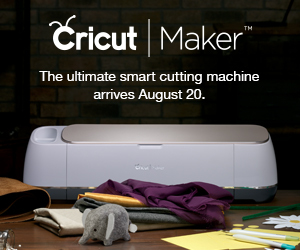 Check out their posts, and the posts from our friends around the internet for lots of fast crafting ideas. 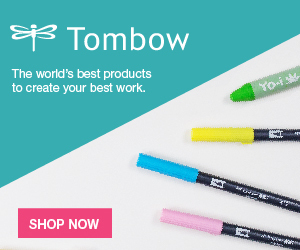 I’ve linked them up at the bottom of this post. 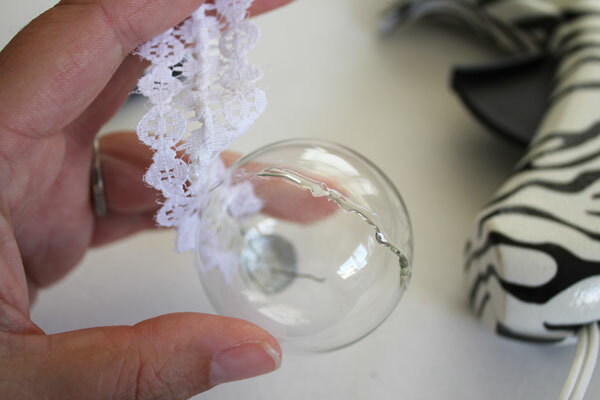 Start by hot gluing the lace around the ornament. Tie ribbon around the top, glue in place. 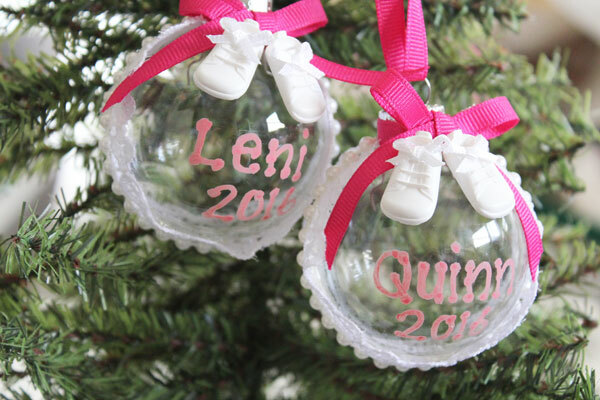 Use the paint pen to add the baby’s name and date, and your ornament is done! 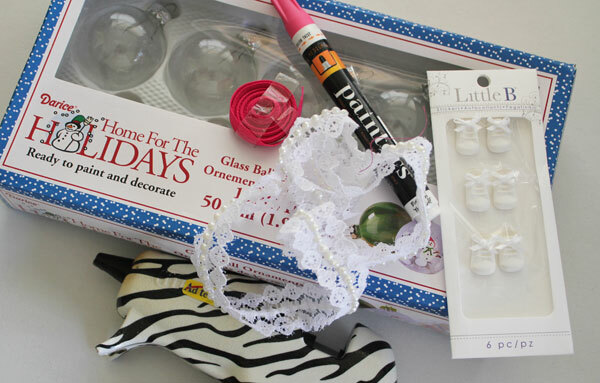 Here are some more great 15 minute or less Christmas and Holiday Crafts! 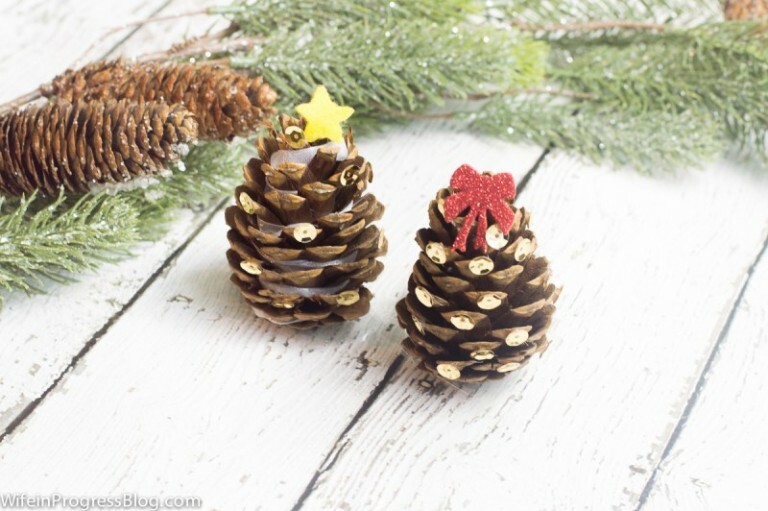 How great are these pine cones turned into cute little Christmas trees from Wife in Progress!? 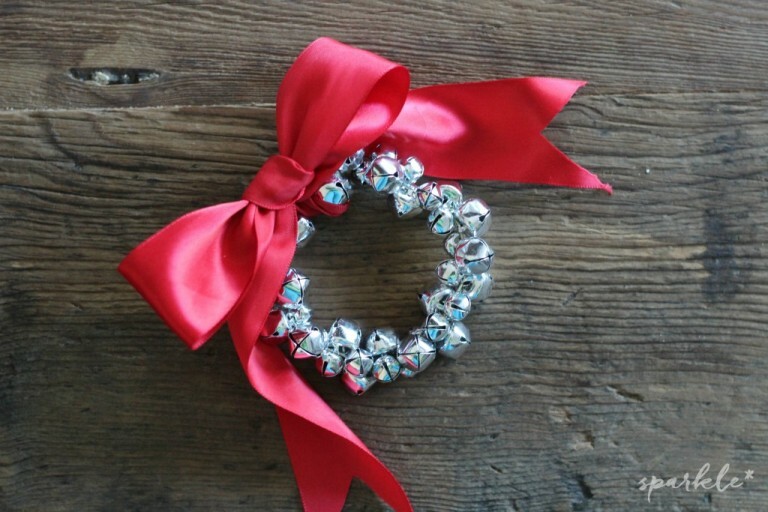 I love this jingle bells ornament from Sparkle Living Blog. 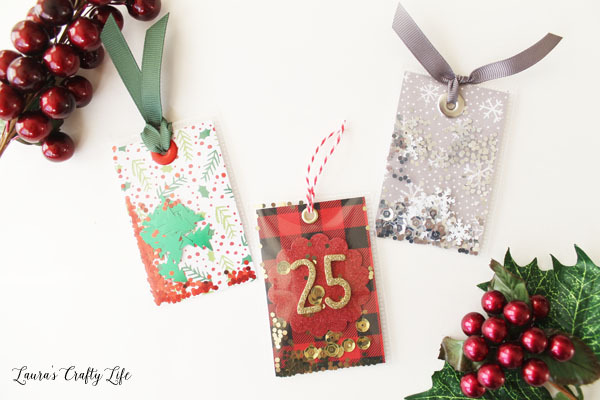 Add some style to any gift with these great shaker Christmas tags from Laura’s Crafty Life. 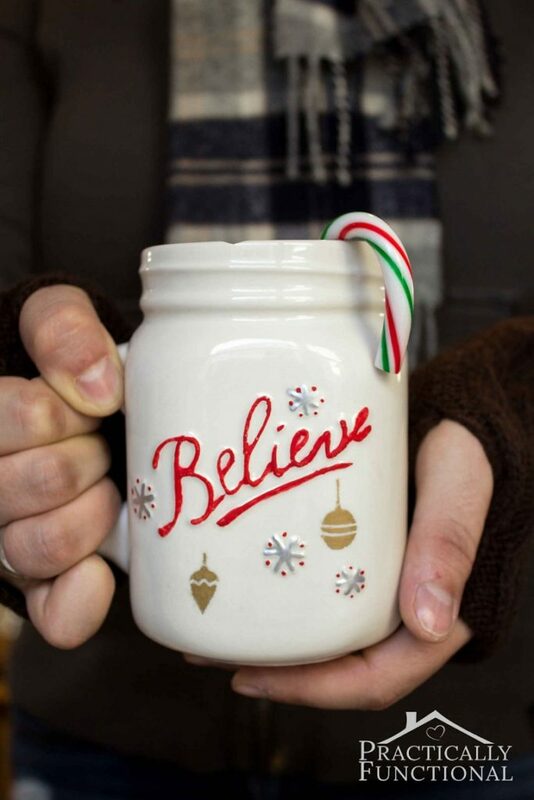 If you’re looking for a simple neighbor gift, you might want to Hand paint a Christmas mug easily like this one from Practically Functional. 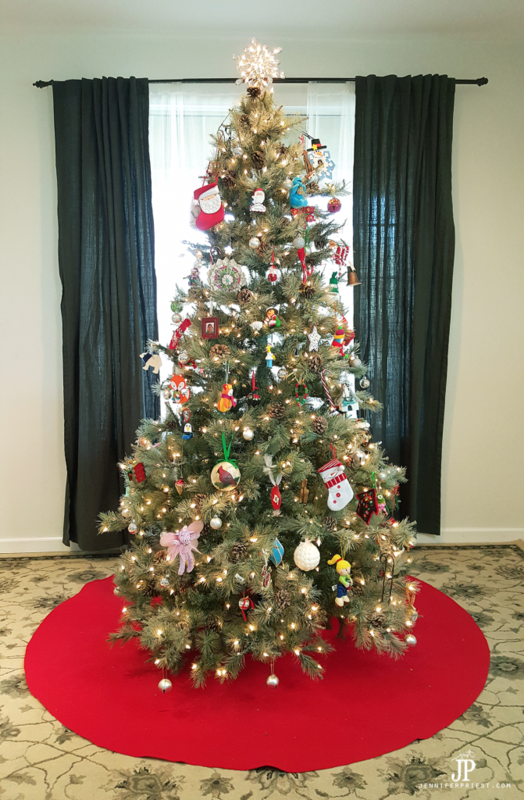 Make an extra large tree skirt in just minutes with the great video from Just JP. 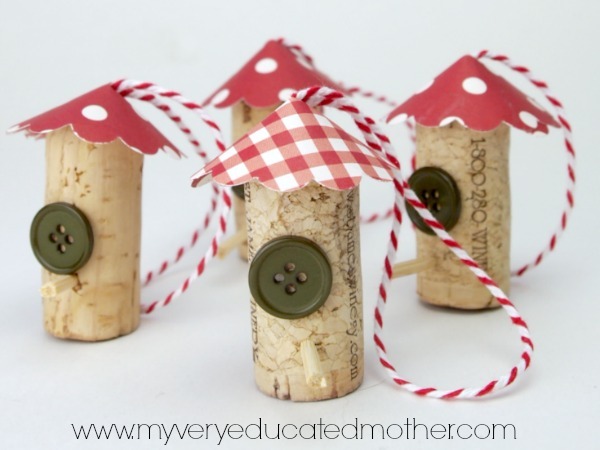 Convert wine corks into bird house ornaments in just minutes with My Very Educated Mother. 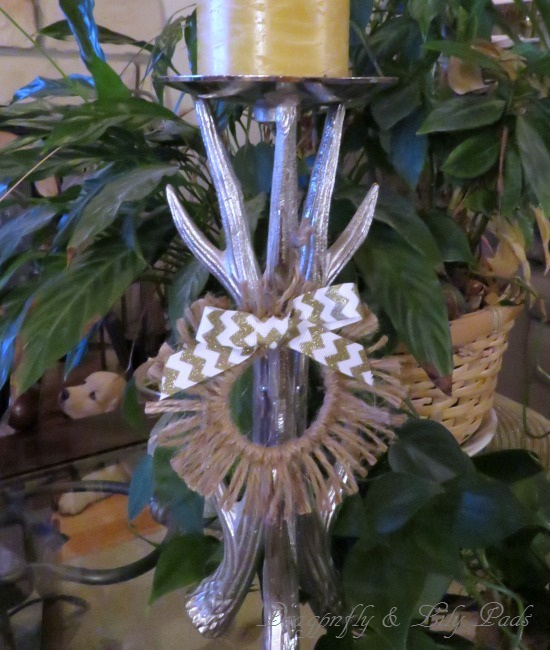 Don’t make a trip to the mountains to cut down your own mistletoe, whip up paper mistletoe to decorate your home with this project from Busy Mom’s Helper. 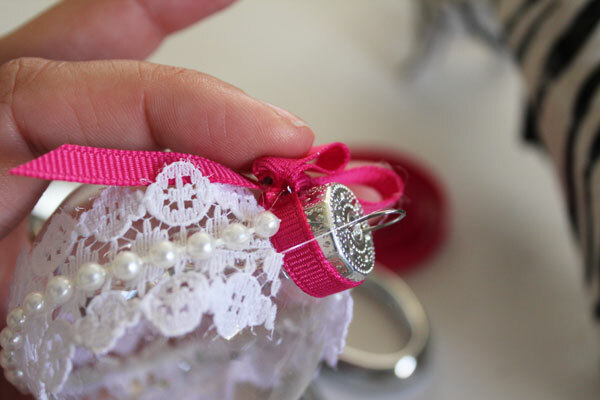 How sweet is this twine ornament from Dragonflies and Lillypads. 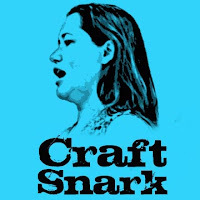 Our guest co-hostess for this series is Tried & True. 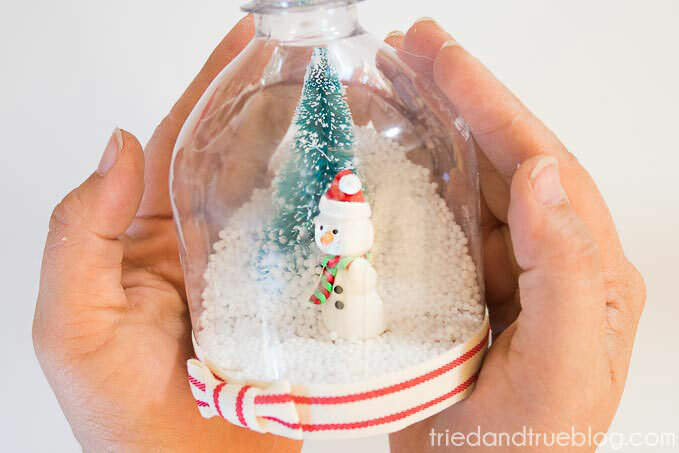 She shows you how to make this adorable recycled bottle snow globe. 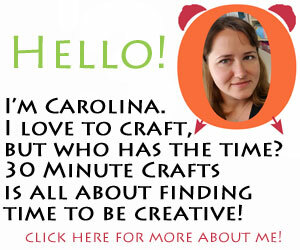 Angie from The Country Chic Cottage is my Co-host for each Craft Lightning. 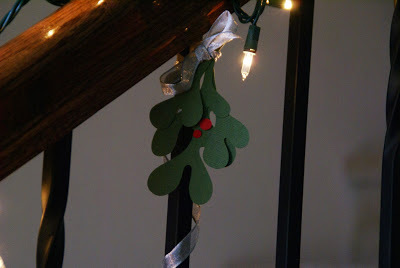 She is a genius with fast crafts, and made this adorable plaid ornament.